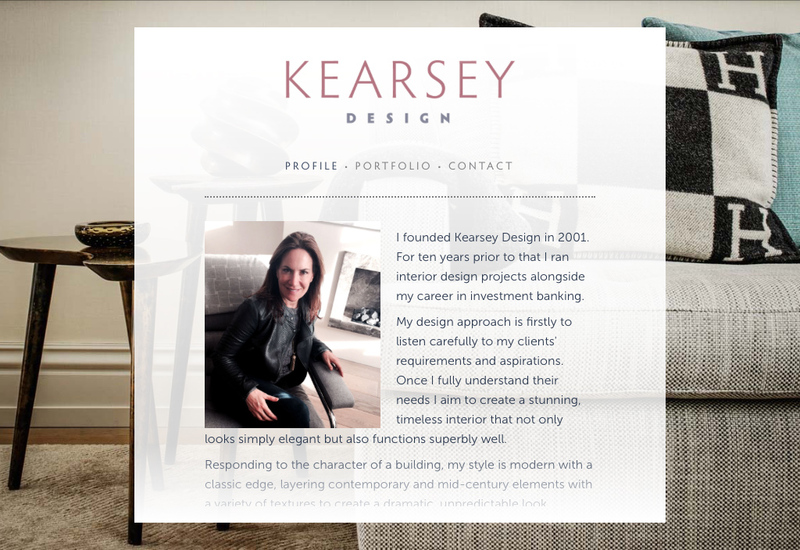 A brand identity and bespoke online portfolio for international interior designer Angela Kearsey. 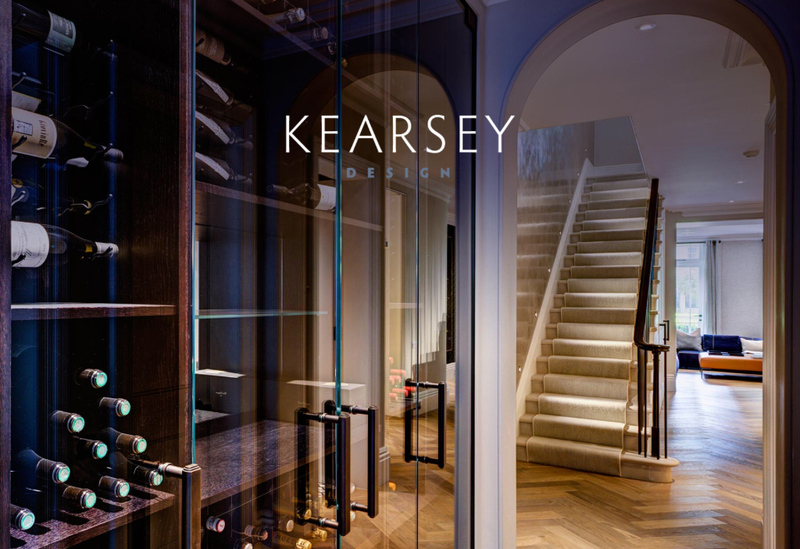 Based in London, Kearsey Design works internationally creating beautiful, high-end residential interiors. 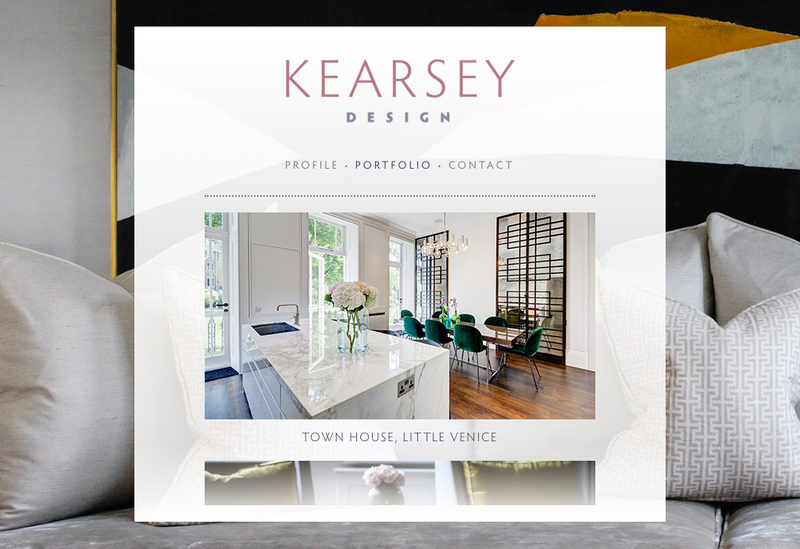 Interior Designer Angela Kearsey had seen some of the work we had done for other clients in this creative sector and approached us to redesign her practice identity and website. We proposed a minimal, typographic solution for the brand identity which was initially expressed across a classy stationery system. 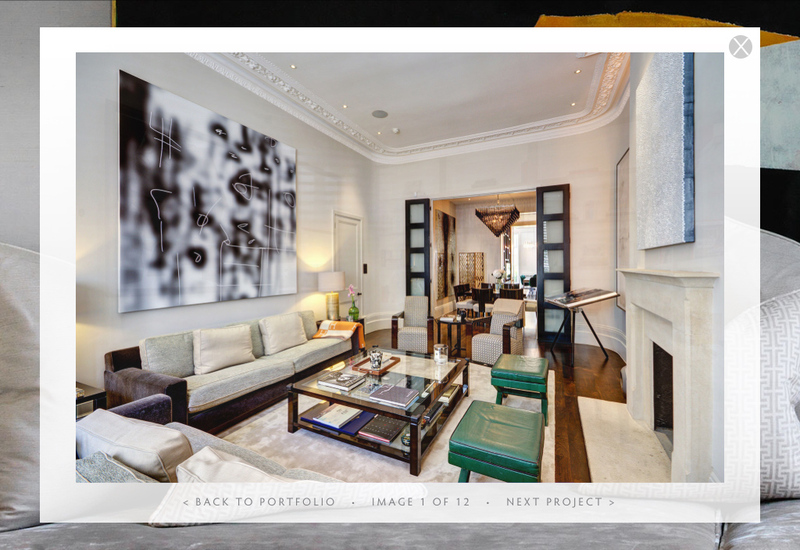 The largest part of the brand implementation, however, involved the redesign of her portfolio website. 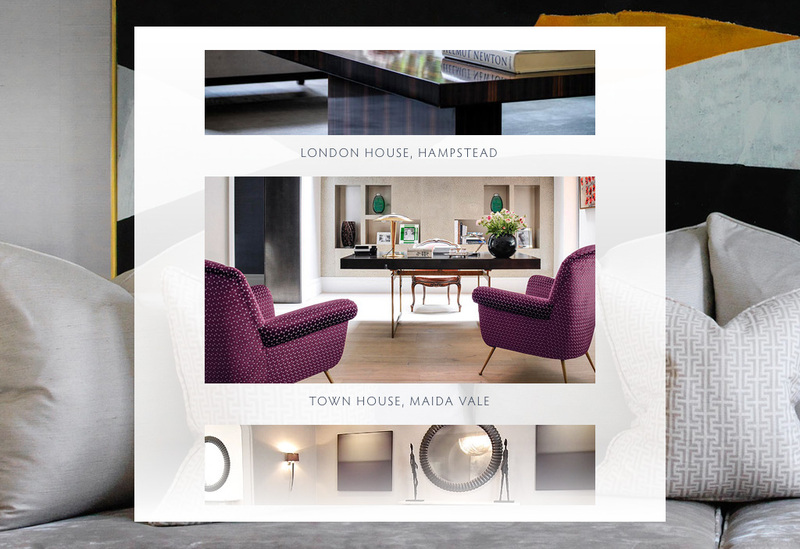 Our web design work is never a case of merely slapping a client's logo onto 'something we prepared earlier'. Neither do we use or even customise 'off the shelf' templates. 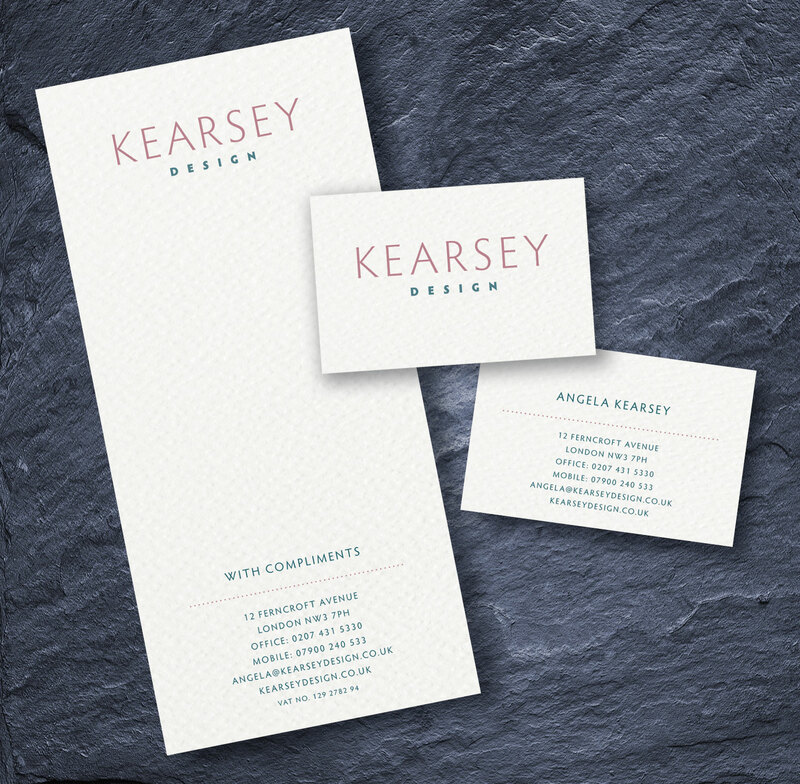 Like Angela, many of our clients are themselves involved in creative work and, as such, not only require something unique to them, but carefully considered, holistic solutions that aim to capture and communicate their own ethos and design values. 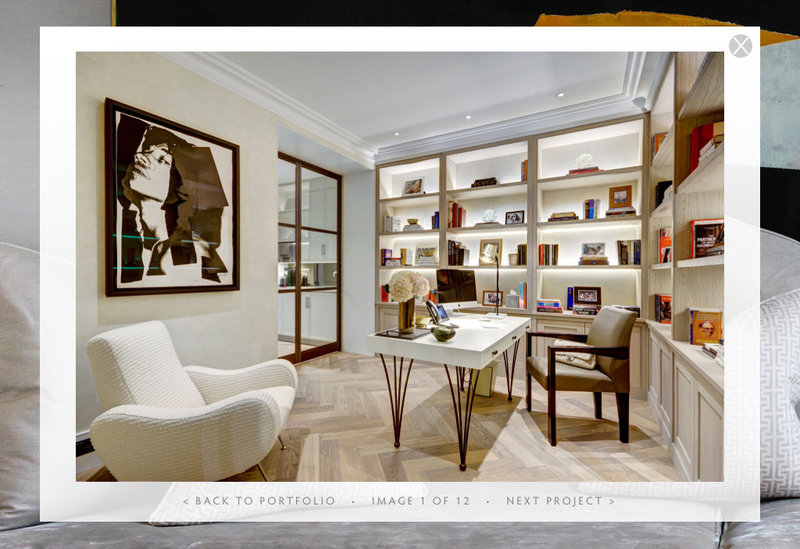 This means considering, not only the visual design of the site, but the entire visitor experience. 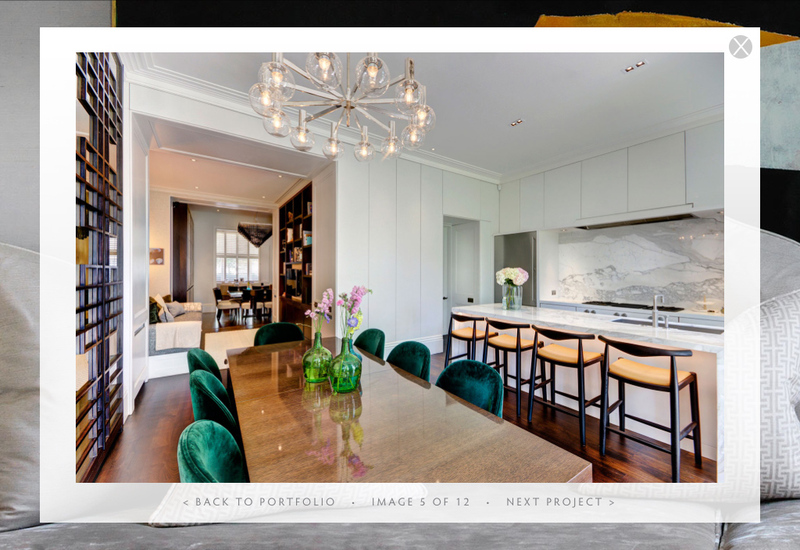 We are not ones for flashy, distracting animations in our websites, but the restrained use of smooth page transitions with elegant image and text fades, and subtle layering against full screen background images, all contribute to conveying this client's own design philosophy and process.